Sawyer Sweeten, a star child actor famous for his role on sitcom Everybody Loves Raymond, has taken his own life at the age of 19. It has been reported that Sweeten died of a gunshot to the head while standing on the porch at his family home in Texas. His death has shocked the world as fans of the show literally watched him up week by week between 1996 and 2005 on the show alongside his twin brother Sullivan and sister Madylin. Patricia Heaton, who played Sweeten’s mother and Ray Romano’s wife on the show, shared her shock at the news saying "Sawyer Sweeten was a funny and exceptionally bright young man. He is gone from us far too soon. The entire cast of #EverybodyLovesRaymond is in shock. Prayers for the Sweeten family." A family statement from Madylin read "This morning a terrible family tragedy has occurred. 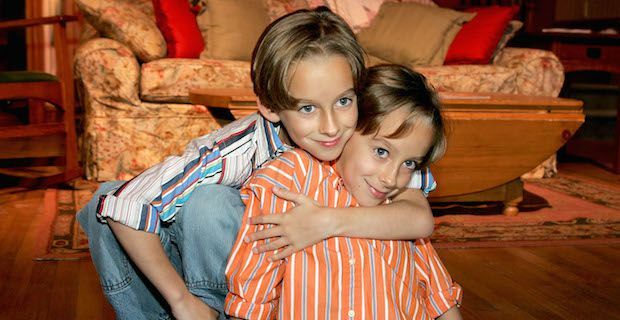 We are devastated to report that our beloved brother, son, and friend, Sawyer Sweeten, took his own life. He was weeks away from his 20th birthday. At this sensitive time, our family requests privacy and we beg of you to reach out to the ones you love." Ray Romano also paid tribute to Sweeten in the wake of the tragedy saying "I’m shocked, and terribly saddened, by the news about Sawyer. He was a wonderful and sweet kid to be around. Just a great energy whenever he was there. My heart breaks for him, his family, and his friends during this very difficult time."